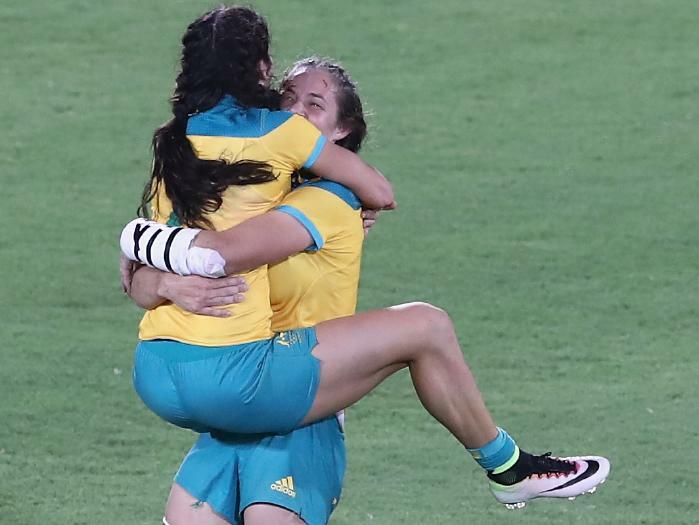 Australia have won the first ever Rugby Sevens Olympic Gold Medal following a 24-17 win over New Zealand in Rio. The Australians entered the contest as strong favourites following comprehensive group stage victories and a dominant victory over Canada earlier this morning. New Zealand shot out of the blocks and opened the scoring through Kayla McAlistar, before four consecutive tries for the Australians set-up the seven-point victory. A deliberate knock-on from New Zealand winger Portia Woodman saw the Kiwis reduced to six players, which the green and gold took full advantage of, scoring two tries in Woodman’s absence. Brisbane-based Emma Caslick continued her incredible form throughout the Games, combining with fellow Queenslander Emilee Cherry in the lead-up to Australia’s third try before scoring a deserved five-pointer herself and seemingly putting the match beyond the Kiwis. Woodman extended her tournament tally to 10 tries for the Kiwis after the final siren, but it was a mere consolation as Australia claimed the nations’s first Olympic Gold Medal in a team event since Athens in 2004. The squad featured six Queenslanders, the most of any Australian state. Queensland Rugby Union CEO Richard Barker congratulated the side and said the large Queensland contingent is a testament to the pathways set up in Queensland Rugby. “Everyone at the QRU and across the entire Queensland Rugby community is celebrating the achievements of the women’s squad in Rio,” he said. 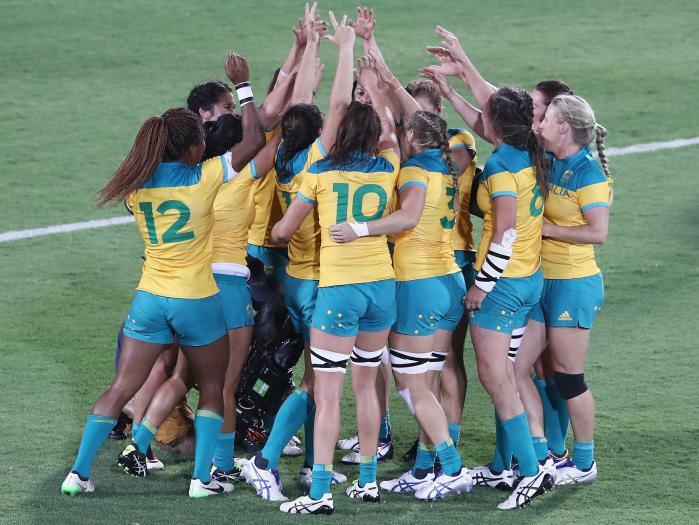 “It was great to see six Queenslanders on the podium holding the first Olympic Gold medals awarded in Rugby since 1924. “QRU has created a pathway through the QAS Women’s Sevens Academy which saw six Queenslanders selected as well as both travelling reserves coming from our academy. The attention now turns to our Men’s Seven’s squad who open their campaign against France tonight. The Men’s side, which features three Queenslanders, are expected to battle for a medal against South Africa, powerhouse New Zealand and reigning World Champions Fiji.